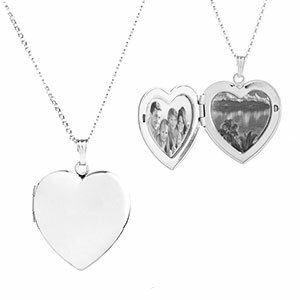 This stunning in sterling silver heart shaped personalized locket makes a special gift engraved with a monogram or special quote or message. Two 5/8 inch photos can be secured by a plastic insert. 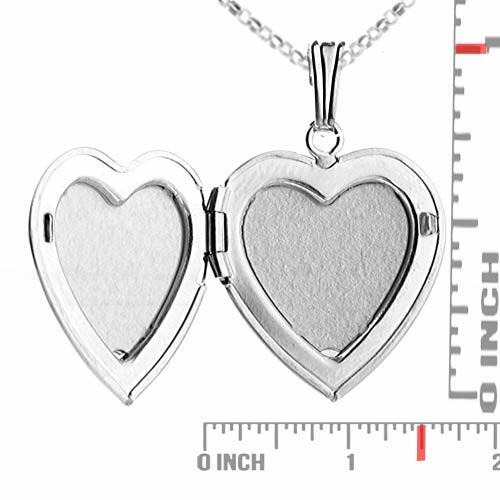 It makes a special addition to our engraved lockets for women collection.